An auto laser key is a regular key that you insert into your vehicle’s ignition to start the car, but it also has a built-in transponder chip that needs to be programmed. 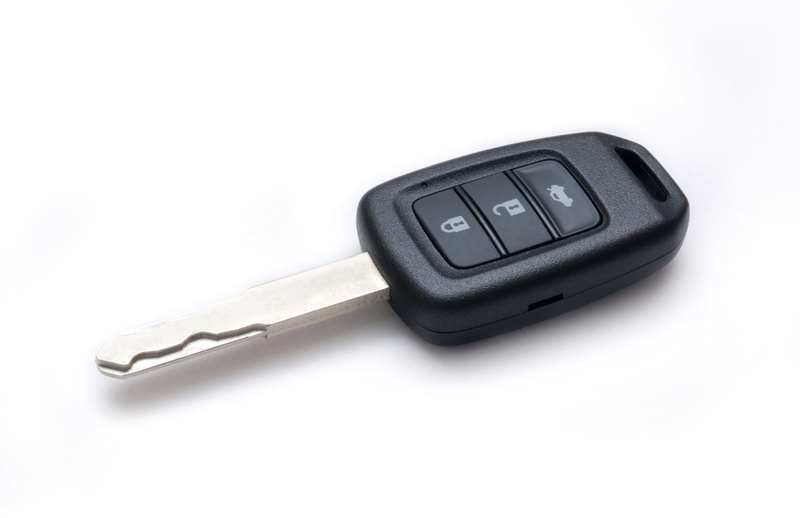 Laser keys are only found on models of vehicles made after the 1990s. Compared to a typical machine cut key, auto laser keys are slightly thicker, and instead of notches cut along the side of the key, they feature a winding slit cut at a constant depth that runs up the center of the key. Laser keys are sometimes called internal keys because of the location of the slit. Usually, an auto laser key will have slits on both sides of the key to make it easy to insert into the ignition keyhole from either side. Laser keys are also sometimes referred to as sidewinder keys, because of the wavy shape of the slit that appears distinctly different from machine cut notches. 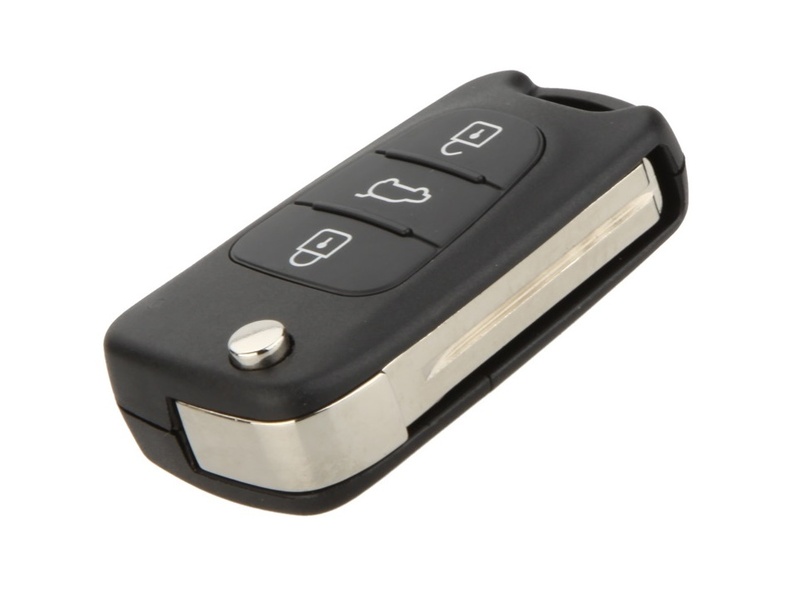 Sometimes, auto laser keys are designed in a switchblade style where the key folds down into the key fob or out when needed with the press of a button. The reasoning behind the innovation of auto laser keys is to make vehicles safer from car theft. When they first came out, they were only available on luxury or exclusive and expensive car models. Nowadays, they are a lot more common. As you would assume by the name, laser cut keys are cut by a laser. Whereas, other car keys are cut mechanically. Any corner hardware store has a mechanical key cutting machine where they can duplicate keys in no time. However, the laser cutting machines needed to cut a laser key are pricey. So, they are not usually available for key duplicating at hardware stores. When you need your auto laser key reprogrammed, you have two choices. You can call the car dealership, make an appointment and wait to pay a large amount of money for their services. Or, you can call a locksmith who is certified to handle transponder chip programming at a fraction of a cost that a dealership will charge and usually done quickly so as not to interrupt your day any more than necessary. One big advantage of a laser cut key is that they are extremely precise and have high tolerance levels, making their locks more difficult to pick. They are also less likely to be duplicated by a would-be-thief than a mechanically cut key, because of the expense and expertise needed. Added security in laser cut keys includes a transponder chip which pairs with the car’s ignition to start the car. If the key is out of range, the car will not start. So, unauthorized duplicate copies will stop a thief in his tracks leaving him unable to start your car. When you have lost your keys or need your auto laser keys duplicated or programmed, the best place to find affordable, fast service is through a qualified automotive locksmith who handles auto laser keys services. Feel free to contact Mesa Locksmith 24 with any question or request about car key replacement.